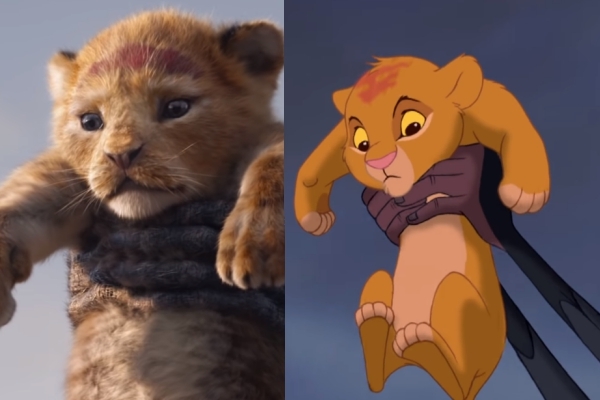 It’s been more than a year since the announcement of the much-anticipated live-action adaptation of Disney’s The Lion King, and the remake’s trailer has finally roared out of the cinematic jungle. And what we really liked about this trailer is the fact that we’re practically being taken back to the mid-90s. Why? 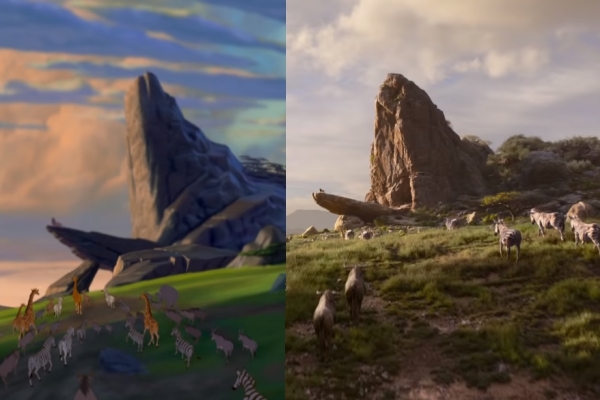 Because we witness an almost identical trailer to that of the original animated film complete with the iconic “Circle of Life” song in the background. The Lion King is entirely CGI-created, with Donald Glover in the starring role of Simba, and Beyoncé as Nala. 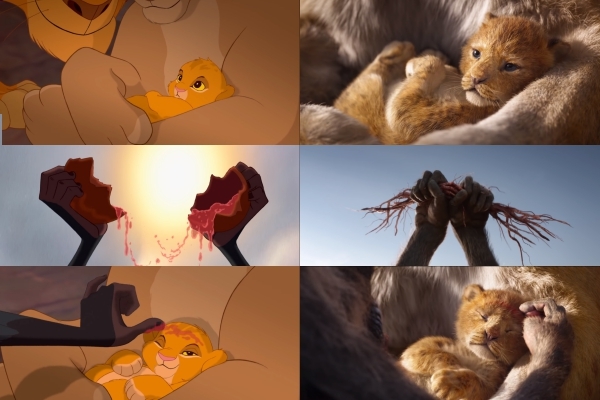 But one of the biggest announcements for the live-action remake of The Lion King was the return of James Earl Jones as Mufasa, and the trailer uses this to its full advantage through a nostalgic and mighty voice-over. 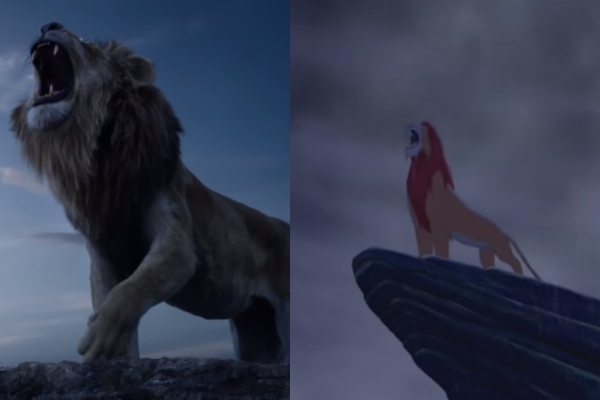 But there's a lot more than just Mufasa's voice that this remake trailer had in common with the original. So here's how the live-action remake looks side-by-side against the 1994 classic. 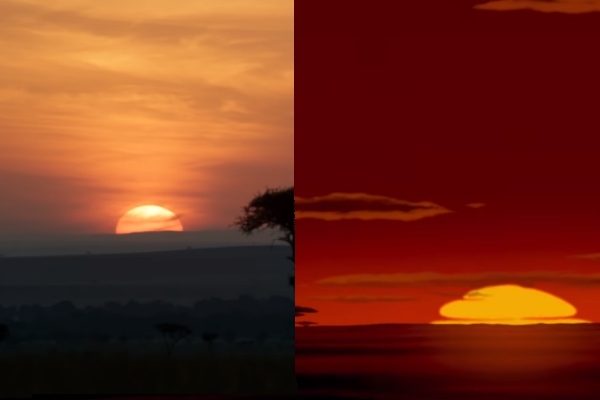 We all know this sunrise which set the mood of the entire 1994 film, and it looks like they’re using it to set the live action one as well. This just simply shows that John Favreau’s remake will remain faithful and true to its predecessor. 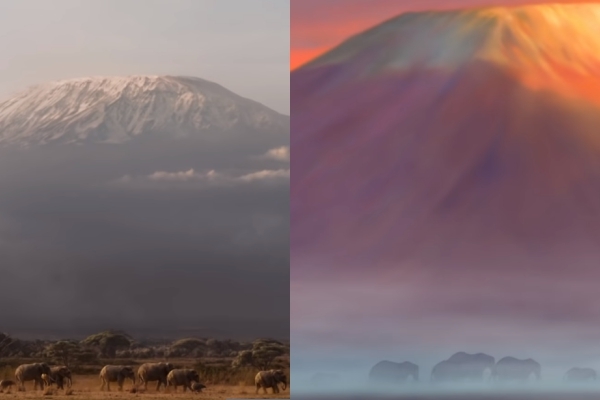 The highest mountain in Africa, looming over Savanna, has got to be there, of course. 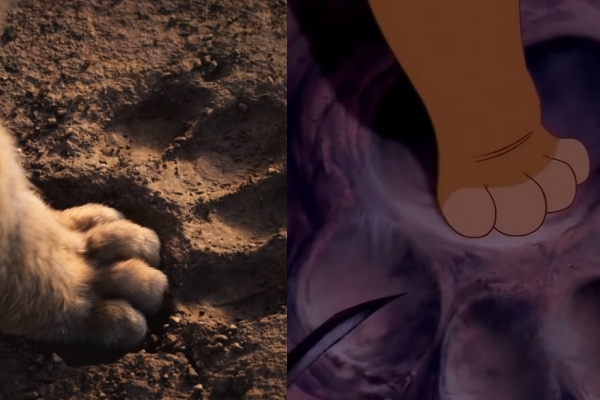 This is actually the most powerful and most symbolic moment in The Lion King--young Simba placing his paw on the print of his father’s. 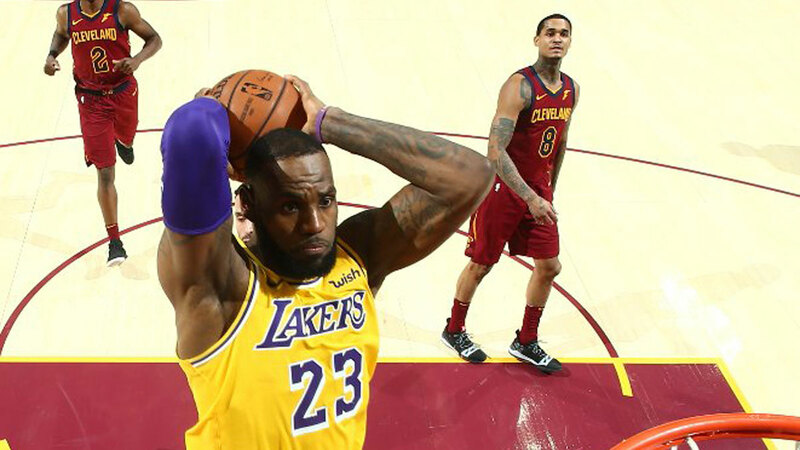 It shows how much the young Simba has to go through before he can truly be considered the king of the jungle and live up to Mufasa’s legacy. Serving as an altar of sorts, Pride Rock is reproduced for the live action film as well. With a little more attention to detail this time, it seems so realistic. And of course, the horde of animals coming together. Serving as the high priest of the pride, Rafiki is replicated in the most amazing way, except we spot something missing: his signature staff. 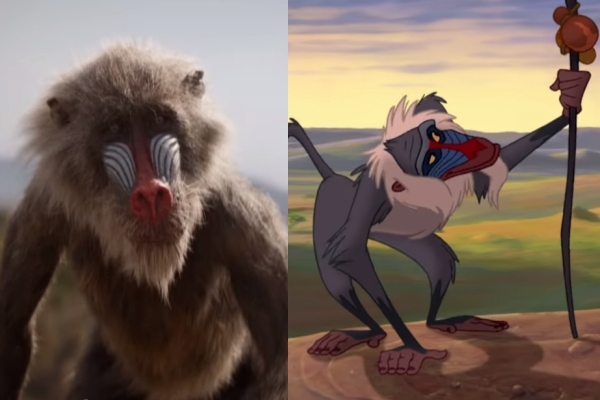 This could be an interesting twist to the original since a lot of Rafiki’s scenes involved him using his staff in one way or another. 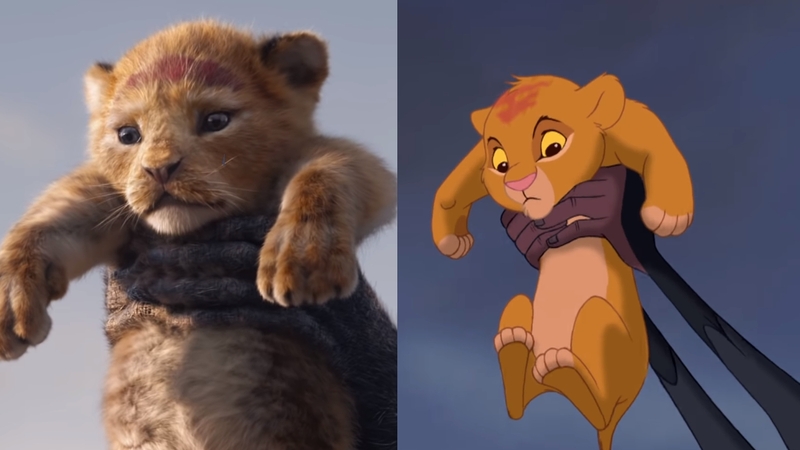 We get the first glimpse of Simba in live action as a young cub. Of course, this is what we can consider the beginning of Simba’s journey to being the rightful heir to the throne. Rafiki breaks a red plant of some kind (he opens a fruit in the original) and marks Simba on his little forehead. Rafiki lifts Simba at the tip of Pride Rock, presenting him to the jungle, presumably as their next king after Mufasa’s time passes. Of course, the animals below him bow. The trailer ends with an adult Simba stepping up on Pride Rock, roaring. The remake is really nailing most of the important scenes and aspects of the original, and this iconic moment filled with emotion and power is one of them. The Lion King is scheduled to be released on July 19, 2019.